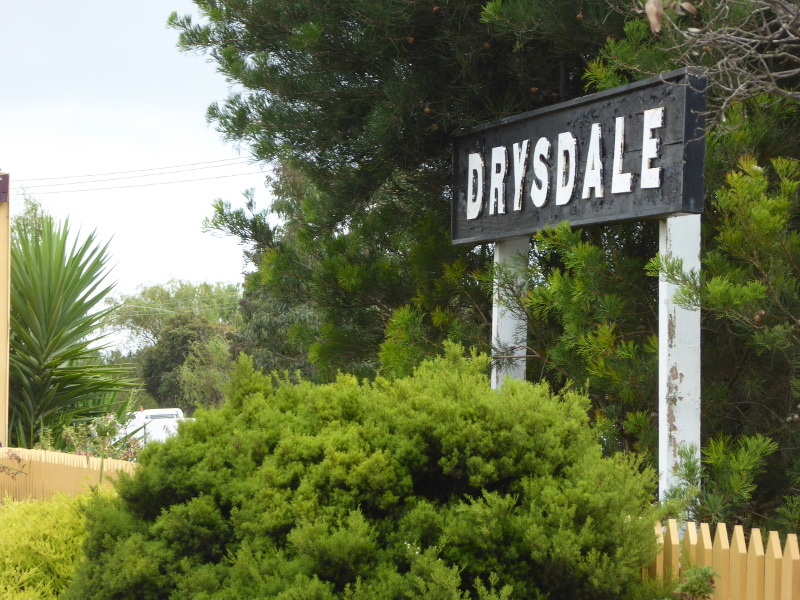 Drysdale Station is the end of the line these days if you catch the train from Queenscliff on the Bellarine Railway. 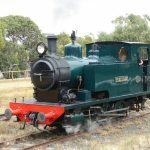 We had just 15 minutes for a quick look around while our steam engine got refuelled and turned around to take us back to Queenscliff. 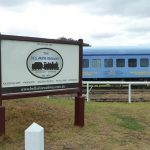 So I think if we were doing this again, we might have begun in Drysdale and turned around in Queenscliff, as that would have given us 2 hours to look around Queenscliff, whereas it would have been a four hour wait in Drysdale for the next train. 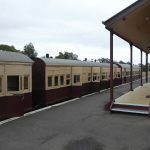 Once we’d taken a few photos of the pretty platform at Drysdale and watched the shunting of the steam engine back along the tracks, then used the toilet facilities, there wasn’t much time for a look around the exhibition rooms inside the Drysdale Station building. And that was a shame because the three or four rooms were packed full of railway memorabilia, which I could have spent hours (maybe those four hours!) poring over. Sitting outside on a bench was a bearded gentleman and as I peered at the photos on the wall of one room, I spotted a distinct likeness for that gent in one of the more recent pics after some new restoration or other on the Bellarine Line. Sure enough, this proved to be Colin Jackson, who has been volunteering here since 1973, it says, even if that would mean he was putting in the hours before the line even closed for public use in the mid-1970s. Railway lamps are Colin’s passion, and there are some superb examples of his work sitting on the cabinets in one of the Drysdale Station rooms (trouble was, I was so busy talking to him that I didn’t get around to taking photos…). 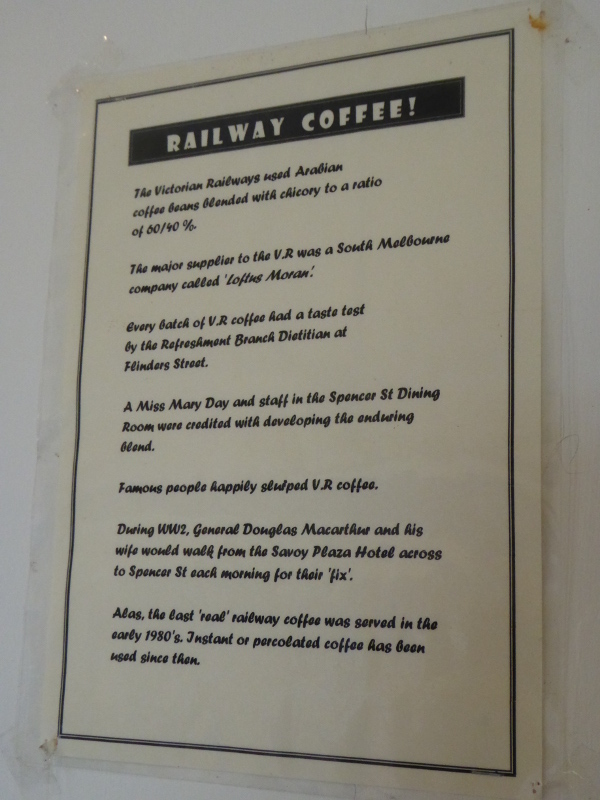 We also liked the poster for the Railway Coffee served on Victorian Railways trains. So although they used the better quality arabica beans, they also had 40% chicory in this blend, so it’s hard to know how this brew would have tasted, but I’d love to have met Miss Mary Day down in Spencer Street dining rooms in Melbourne, as she is the one supposedly who invented the blend and it was served right up to the early 1980s on Victorian trains. 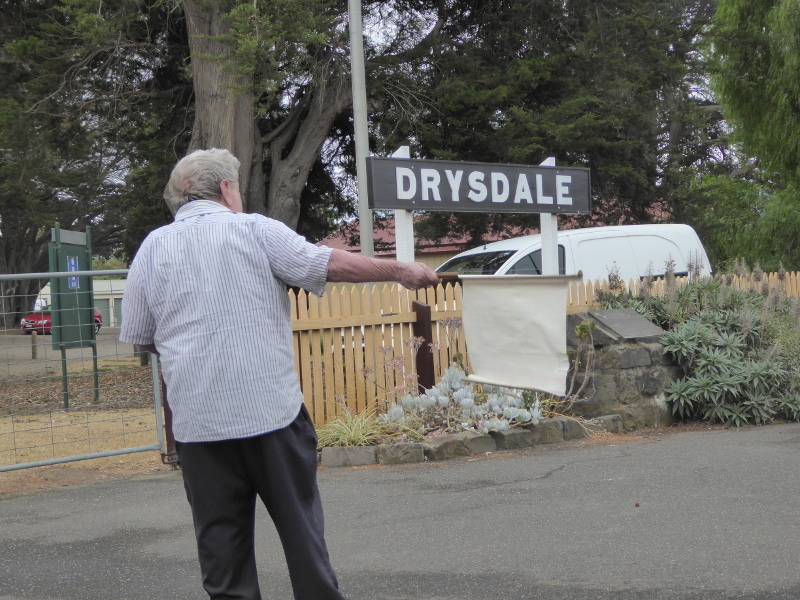 The weighbridge is also still in place – again, no time for photos, so we really do need a return to Drysdale. 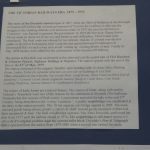 And that little information sheet brought up one of the characters I’d also love to have known more about – Miss Alma Reynolds, who operated the weighbridge for nearly 40 years! 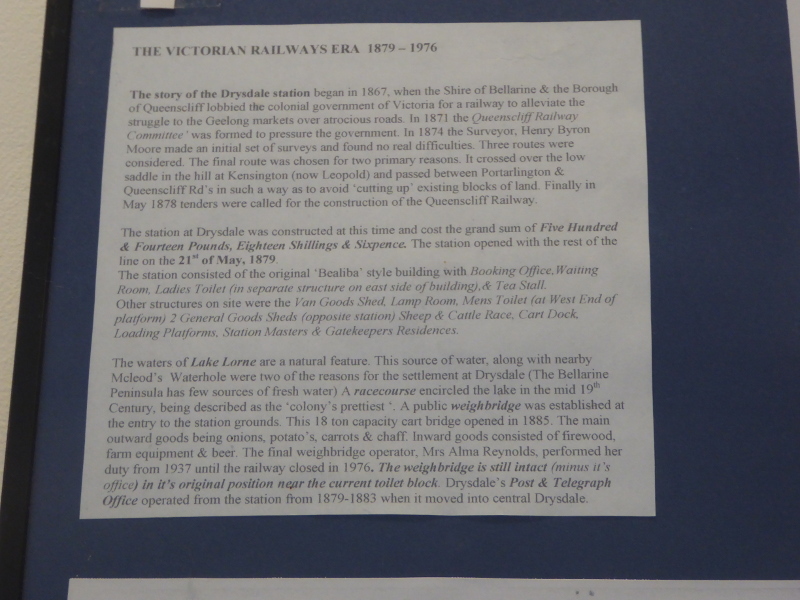 I may well rewrite this entry once we’ve had more of a chance to discover Drysdale itself – and Clifton Springs – and have a more thorough look round the little museum to local railways, which this station has set up. 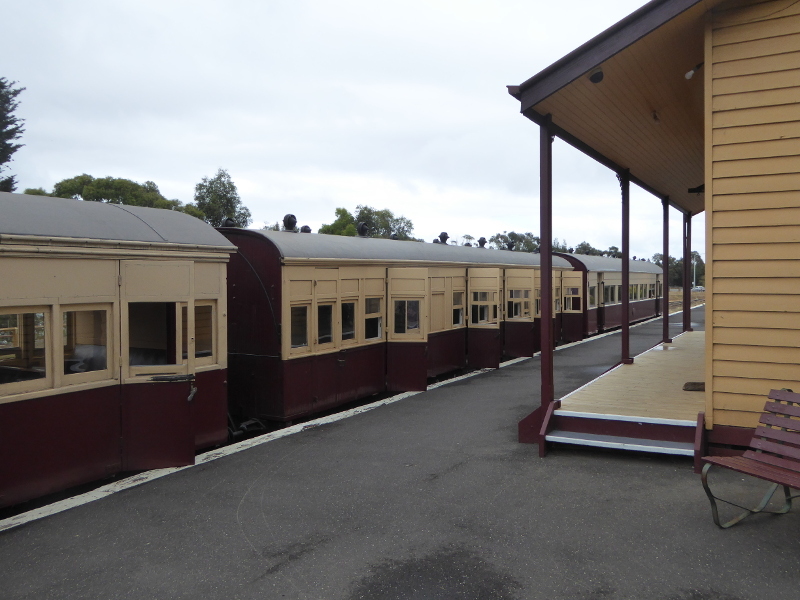 But it was all aboard for the ride back to Queenscliff and we had to leave Drysdale for another day this time. 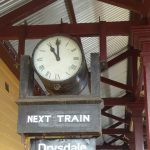 For those who want to catch a later train back to Queenscliff, you’ll have 4 hours in Drysdale if want to check out Drysdale and Clifton Springs – we haven’t yet so can’t comment on whether it’s worth it! Another idea might be to start in Drysdale and then you’d have 2 hours in Queenscliff, which could easily be more than filled with visits to the town centre, the pier and the lighthouses. Before Drysdale Station was even built, in 1878, there was a big local debate which split the community over where the station should be. The site chosen, by Lake Lorne, was too far from the town in the view of many, especially local businesses, who feared a whole new township would grow up around the station (judging by 2019 layout of Drysdale, those fears were not justified, though, and the town centre remains a good kilometre away from the station). 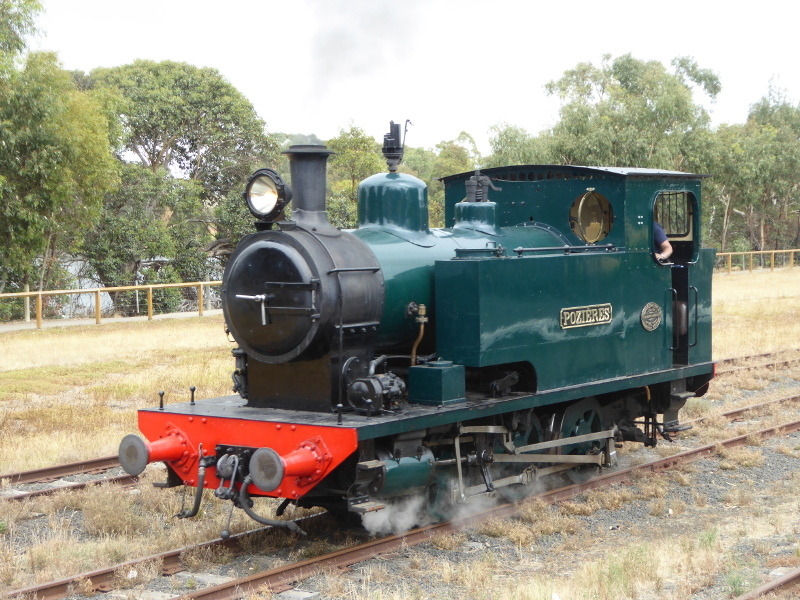 Those arguing in favour of the site chosen said that Lake Lorne was vital for water supply to the engines, though they also argued that the people would find all the noise and steam from the trains would annoy folk if that were to be right in the middle of their town centre. Some years later, in 1891, you could get a sense of those arguments continuing from a News in Brief which appeared in the local newspaper. it was very inconvenient, said the newspaper, that parcels arriving by train were just left at the station until the recipients came to collect them. So a new system was set up whereby every day the station master would send a list of waiting parcels to the post office in town so people could see who had a package waiting for them, and they didn’t need to traipse all that way to the station for no good reason. Another small incident from 1889 gives an illustration of how isolated it was round here back then. A porter shot himself in the groin one morning after borrowing a neighbour’s gun to scare off a ‘troublesome goat’ near the station. He pulled the trigger too soon and caused himself such damage, the report reckoned he’d lose a limb as a result…He was lucky that the train from Queenscliff was due shortly after the incident and he was rushed by train to hospital in Geelong (though rushed is maybe an exaggeration given the speed of the trains on the Bellarine). 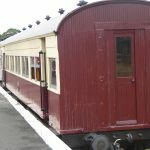 He was just 19 but lived with his wife in the gatehouse attached to Drysdale Station. A notice in the Drysdale Station information area tells us that the nearby Clifton Springs were a draw for visitors to the area at the time (are these still going?). But in terms of freight, the main goods shifted out of Drysdale were onions, potatoes and carrots, while firewood and beer were the main ‘imports’ to the area. Onions certainly made the news a few times in the 1930s and 40s. In 1948, 1000 tons of onions in 8000 bags were sent from Drysdale Station heading overseas – mostly to North America. Onions were so important to the area that they were even the subject of a big court case in 1938, when an onion grower was fined for not selling his product via the Onion Board! The offensive onions were of course despatched via Drysdale Station. Alma Reynolds operated the weighbridge from 1937-76 – The Trove website of press clippings unearthed some school achievements in the 1920s of a young Alma: she came top of her class for drawing nature in 1923 and won a 75 yard skipping race in 1927. But did she get any recognition for her 40 years service on the Drysdale weighbridge? If so, it hasn’t reached Trove’s website yet, and I have to say that’s a shame as it must have been quite rare for a woman to be doing work like this in the 1930s. Colin Jackson is someone else worth a mention and he’s still with us! He’s been volunteering here on the railway since 1973 – he takes great pride in the railway lamps he restores; he’s on one of the photos in the little museum at Drysdale Station – taken shortly after Drysdale station reopened in 1980 – and we found him sitting on the bench outside the station building, and he joined us for a brief chat. 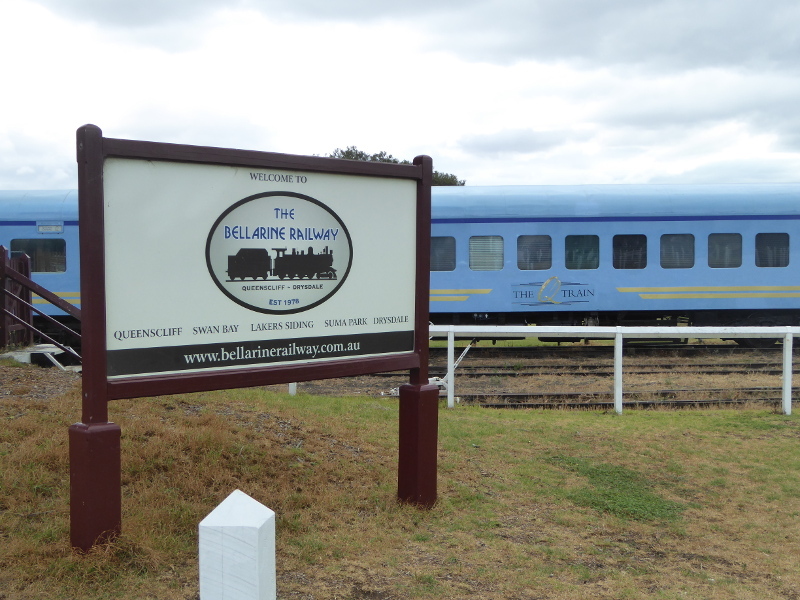 What are your memories of the Bellarine Railway or Drysdale Station? Or did any of your relatives ever speak of earlier days when the railway was still operating a service between Queenscliff and Geelong? Can anyone shed any light on Alma Reynolds? Any distant relative? Or did somebody ever see any reference to her work on the weighbridge? 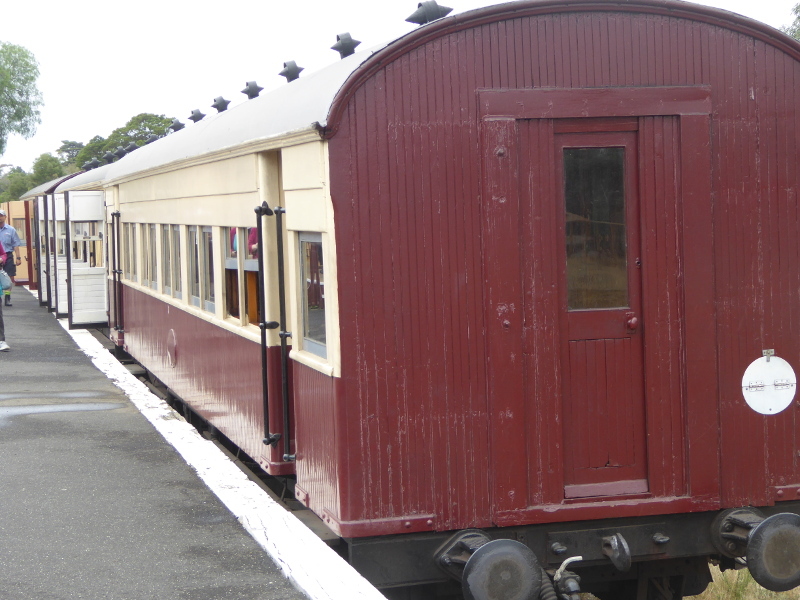 There’s a nice brief history of Drysdale Station on the Revolvy webiste. 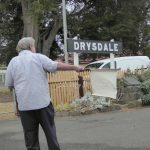 Film Victoria has some nice pictures of Drysdale Station on its page advertising how to get permission to use it as a film location. 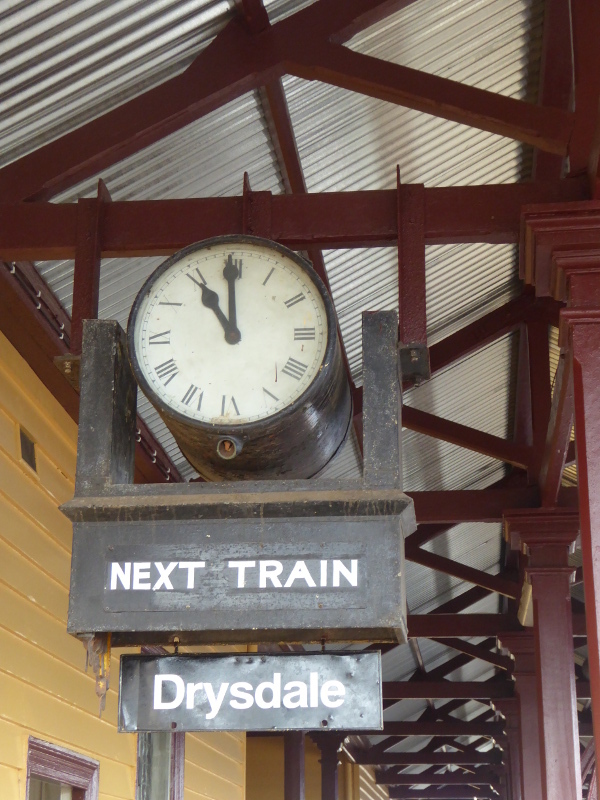 There are a few interesting timeline milestones for Drysdale Station on this Rail Geelong website. 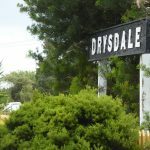 This piece is not about the railway station, but about the history of the township and settlement at Drysdale, including the fascinating woman farmer Anne Drysdale, who came to Australia from Fife in Scotland. She died 25 years before the railway was built, though. They aren’t serving Railway Coffee anymore, which is a shame, though I’m not sure I’d have liked so much chicory in my daily brew. And we haven’t yet visited Drysdale or Clifton Springs, so can’t recommend a coffee shop there either. Back in Queenscliff there is definitely good coffee, though.